The most important step after having decided to outsource your software development to offshore companies is identifying the right outsourcing partner. This step is pivotal in the outsourcing experience, and decides the direction that your project will take. Your development partner and you will be embarking on a business relationship and your partner’s business practices will have a direct impact on your project. The repercussions of making the wrong choice at this nascent stage will be severe. Therefore, the importance of identifying the right outsourcing partner cannot be emphasized enough. Although there can be no guarantees at such an early stage of a business relationship, it is always wise to make the most informed decision, to minimize the outsourcing risks that you might encounter. It is imperative to obtain as much background information about your prospective solution provider, before zoning in on any one source. The following pointers could serve as a rough guideline while choosing the right outsourcing partner. Useful information about the company’s experience, which include the kind of customers they have catered to and the number of projects they have handled are important indications of their capability. It will also help you decide whether the provider is suited to your project. It is also useful to ask for profiles of the company’s board of directors and their key people, to have a better idea of the backgrounds and experience of the people who run the outsourcing service organization. Ensuring that your solution provider is financially secure is another key factor in outsourcing management. The best way to judge the quality of a service is to see if it has measured up to customer expectations and standards. Asking for references from previous customers would give you a more objective idea of the capabilities of your prospective outsourcing solution provider. References could also address issues like schedule adherence, trustworthiness, and responsibility, which cannot be judged by work samples, and are best resolved by previous customers. These are essential checks while looking for an outsourcing solution. Finding an offshore service provider who understands your business objectives is integral to the smooth execution of your project. You must have a business strategy that matches your needs with the needs of your provider in a realistic manner. For example, you might be looking for a temporary partnership while your provider might be looking for a long term one. Once your objectives and strategies are understood by your partner, it becomes easier to communicate standards, targets, changes and updates on performance. The most common problems faced by companies who decide to outsource to offshore locations are those of language and cultural discrepancies. It is important to see that you communicate effectively and understand each other’s requirements, in order to minimize misunderstandings. The difference in time zones could also cause communication difficulties. Accessibility at critical junctures should also be considered as a factor while selecting your outsourcing partner. On a practical level, this would involve regular access to a clear, reliable communication link, be it e mail, phone lines or instant messaging. Ensure that your outsourcing service provider has access to good communication channels. To get a clearer idea of your partner’s abilities, the best way would be to ask for samples of their previous work. This would help you make a realistic appraisal of the quality standards and technical expertise of your provider. If your project does not fall into the parameters of what your prospective partner offers, it would be wise to ask for a prototype, to evaluate whether the company understands the demands of your project and whether they possess the necessary skills to handle it well. Once the credentials of the company have been established, you need to know if the provider possesses enough infrastructural and technical expertise to be able to handle the requirements of your project. It is always wise to be informed about the processes and methodologies that your prospective development partner follows. Once you are aware of the process, it will be possible to get a clearer idea of how exactly your project will be handled, and whether it is in sync with your quality expectations. The sheer distance involved in offshoring your project lessens the amount of control you have on its development, thereby increasing the risk involved. Check your outsourcing partner’s payment options and see if they are progress-based. Also check to see if your outsourcing partner has provisions to enable periodic checks on the advancement of the project, so that you are kept aware of the progress in the development of your project. Your relationship with the service provider needs to continue even after the completion of the project. The success of a project is best judged after its implementation, and it is during this stage that it requires reliable maintenance services the most. Your service provider should offer post development support and testing procedures to see your project through its teething troubles. O2I has been in the business of providing outsourcing solutions for a global clientele for the past six years. We have been solution providers of call center services, CAD and engineering services and healthcare BPO for our customers who range from Fortune 500 companies to small business owners. In order to give our customers a fair idea of our potential, we offer samples of our previous work, based on the customer’s requirements. For those projects that do not fall within our portfolio, we offer to work on prototypes according to the customer’s needs. You also have the option of testing us with a trial program. We also offer milestone-based payment options, which mean that you pay as each stage of the project is completed, from the initial prototype to the final approval, based on the kind of service you require. Would you like to read more about outsourcing? 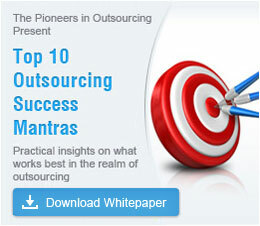 Check out our why outsource resources which will surely help you to outsource to India. Contact us for your outsourcing requirements. A few big reasons for Bangalore's success in attracting BPO & ITES.